I was living in Beijing, China during the summer of 1993, a time before the country started on the trajectory of its radical makeover. There wasn't much Western influence at that time, the first McDonald's had just opened several months before. Meandering through the city's hutongs, Mom and Pop shops could be found on nearly every block. In these shops, I was amazed at the sheer volume of Chinese cigarette brands and the bold design of the packaging, a profound difference from the packs of Marlboros and Pall Malls also on display. I tried to find a new brand of cigarettes each day. 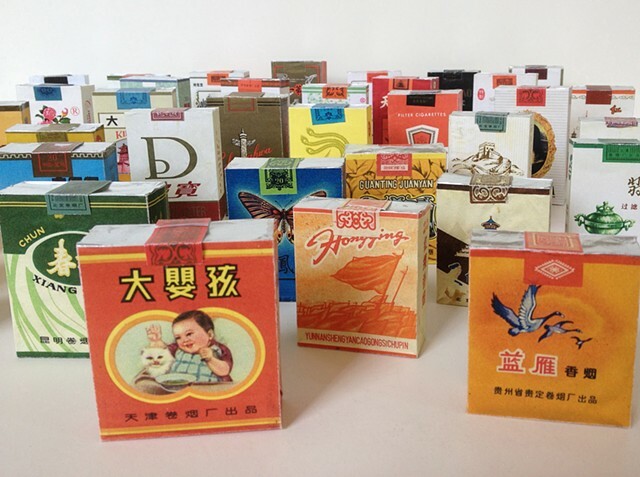 In a time of increasing global homogenization, these cigarette packs pay homage to a time past and forever gone.